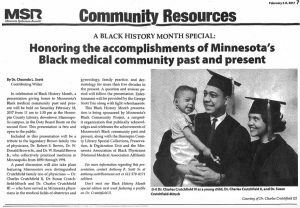 In celebration of Black History Month, a presentation giving honor to Minnesota’s Black medical community past and present will be held on Saturday February 18, 2017 from 11 am to 1:30 pm at the Hennepin County Library, downtown Minneapolis campus, in the Doty Board Room on the second floor. This presentation is free and open to the public. 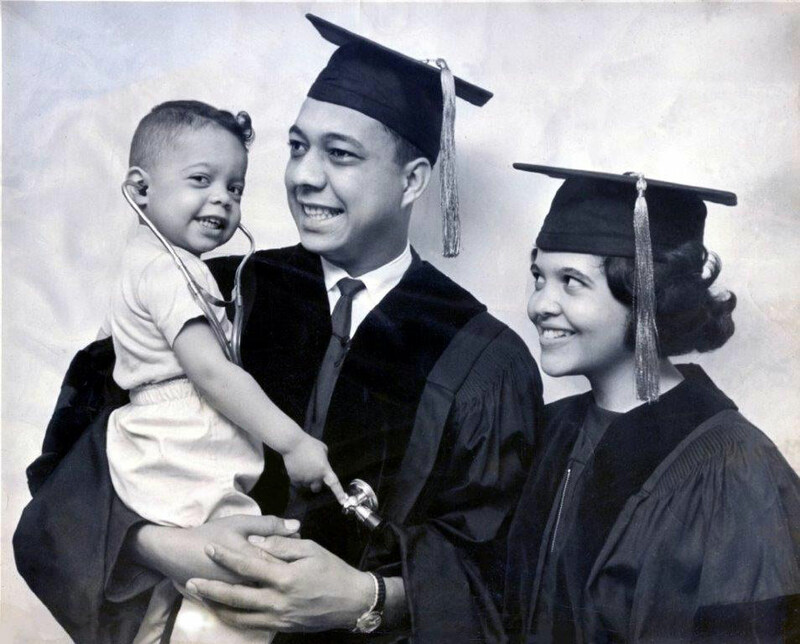 Included in this presentation will be a tribute to the legendary Brown family trio of Physicians, Dr. Robert S. Brown, Dr. W. Donald Brown Sr., and Dr. Ronald Brown Jr., who collectively practiced medicine in Minneapolis from 1890 through 1991. A panel discussion will also take place featuring Minnesota’s own distinguished Crutchfield family trio of physicians—Dr. 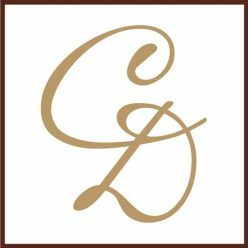 Charles Crutchfield II, Dr. Susan Crutchfield-Mitsch and Dr. Charles Crutchfield III – who have served as Minnesota physicians in the medical fields of obstetrics and gynecology, family practice, and dermatology for more than five decades to present. A question and answer period will follow the presentation. Entertainment will be provided by Gorge Scott Trio along with light refreshments. 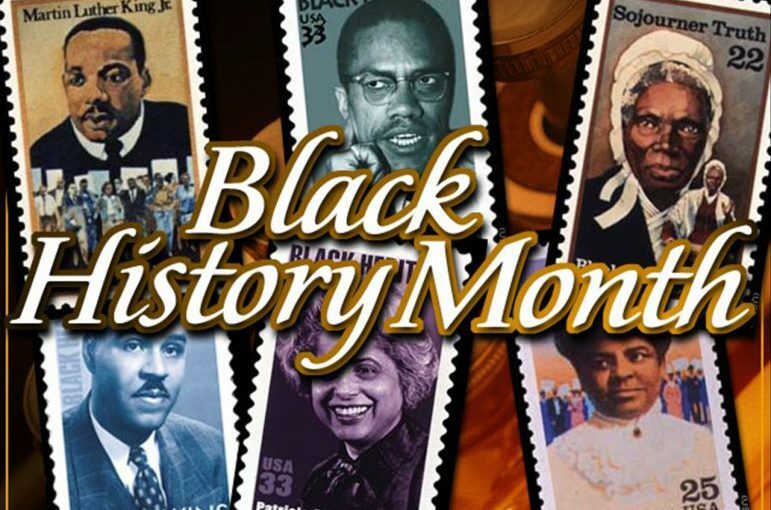 This Black History Month presentation is being sponsored by Minnesota’s Black Community Project, a nonprofit organization that publicly acknowledges and celebrates the achievements of Minnesota’s Black community past and present, along with the Hennepin County Library Special Collections, Preservation, & Digitization unit and the Minnesota Association of Black Physicians (National Medical Association Affiliate). For more information regarding this presentation, contact Anthony R. Scott Sr. at anthony.scott@comcast.net or 612 578-0171 cell/text.